Now in its first hardcover edition, the book is presented in a limited edition of 200 copies, all signed and numbered by the artist. Design by Sal Taylor Kydd and Christina Labey of Conveyor Arts. The book was bound by Conveyor Press of New Jersey and is in the Getty Collection. Please contact the gallery for international shipping rates. The handmade artist book was initially undertaken as part of my time-based project to create a piece of handmade art each day for an entire year. These one-of-a-kind books are as tactile, as full of possibilities, and as perfectly imperfect as the printing processes themselves. Weaving my original cyanotype and gum bichromate prints into the very binding of these piano hinge books allows for a piece of art where concept meshes seamlessly with imagery. Winner of the Omnidawn Poetry Prize. Evoking the life of Nicéphore Niépce, one of the pioneers of photography, Andrew Seguin’s The Room In Which I Work explores how the invention of the medium was also an invention of language. At once biographical and personal, factual and fictional, Seguin’s debut collection not only provides a unique look at Niépce’s life, but investigates how photography has provided lasting metaphors for how we think, write and talk about what we see. Combining original photographs with poems that range through history, chemistry, collage, dialogue and lyric, The Room In Which I Work is a singular meditation on language and image. This special edition comes with an 11x14 silver gelatin print and certificate of authenticity. 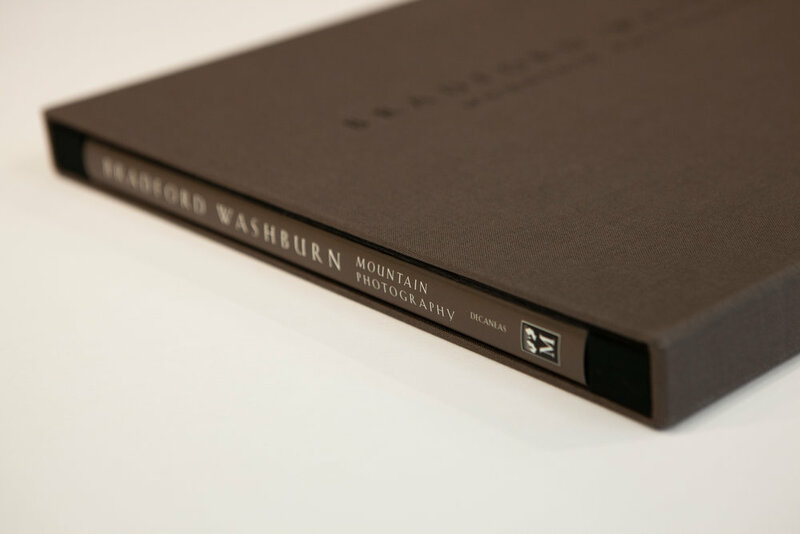 Bradford Washburn: Mountain Photography includes one hundred large-format mountain photographs. Aerial images of high mountains, looking more like bold relief maps, are captured in extreme raking light. There are picture essays of early Alaskan expeditions-striking modern still lifes of supply caches and camp conditions-plus portraits of team members and colorful characters and situations encountered along the way. Additional aerial photos reveal, in breathtaking clarity, the workings of the earth, continuously transformed by upheavals and erosions, and the slow march and retreat of glaciers. An in-depth Washburn interview by Antony Decaneas brings a voice to the life portrayed in images. Also included is an extensive, unique chronology of the major events in Washburn's life and career, illustrated with 40 additional images. Aerial images of high mountains, looking more like bold relief maps, are captured in extreme raking light. There are picture essays of early Alaskan expeditions-striking modern still lifes of supply caches and camp conditions-plus portraits of team members and colorful characters and situations encountered along the way. Additional aerial photos reveal, in breathtaking clarity, the workings of the earth, continuously transformed by upheavals and erosions, and the slow march and retreat of glaciers. An in-depth Washburn interview by Antony Decaneas brings a voice to the life portrayed in images. Also included is an extensive, unique chronology of the major events in Washburn's life and career, illustrated with 40 additional images. This is the first publication to survey the more than 50 year career of Ernest Withers. The recipient of numerous awards, Withers has received two honorary doctorate degrees and was inducted into the Black Press Hall of Fame in 1998. 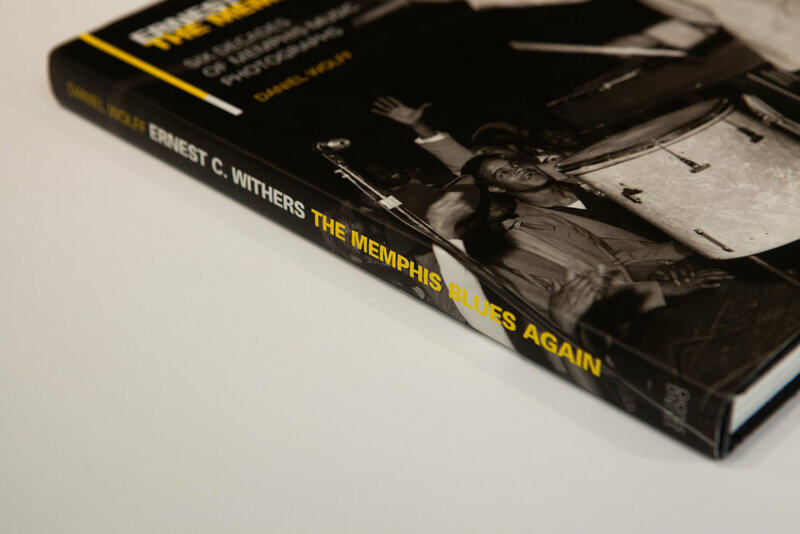 A collection of photographs made in Memphis brings to life the legends of blues, jazz, rock and roll, and soul, including W.C. Handy, B.B. King, Muddy Waters, Elvis Presley, Aretha Franklin, Al Green, Isaac Hayes, and others. Winner of AIGA 50 Books for 1986. Born in Kettering, England, Paul Ickovic emigrated with his family to the United States via Czechoslovakia and Colombia at age thirteen. Assistant of Henri Cartier-Bresson, friend of Josef Kudelka, his influences are those of the great documentary and street photographers, but the daring and heart in his photographs is his alone. A pilot, printer and musician, he is the author of In Transit, Kafka's Grave, Safe Conduct, Gorgeous Infidelities, and a children's book, Nicholas and The Magic Box. His photographs are held in the permanent collections of the Museum of Modern Art, the Minneapolis Art Museum, The Smithsonian and the New York Public Library. Thirty-eight photographs rendered as tritones, printed by dry trap at The Stinehour Press under the supervision of Stephen Stinehour.